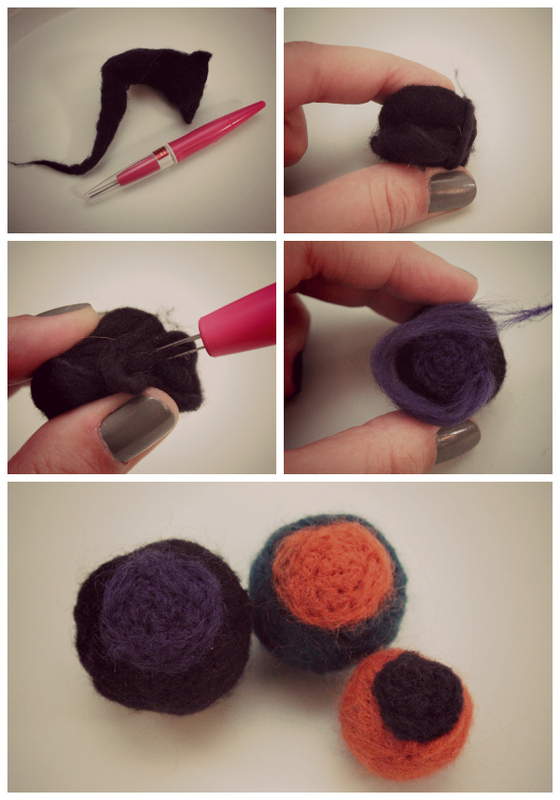 Pull a piece of your wool roving apart from the rest and wrap it in a tight little ball. Start stabbing away! Be careful not to poke yourself because these needles are sharp! Keep stabbing until the ball feels more dense and the lines from wrapping it have disappeared. Add some color by putting spots on it! You could even wrap 2 different colors into the ball to give it a swirly look. 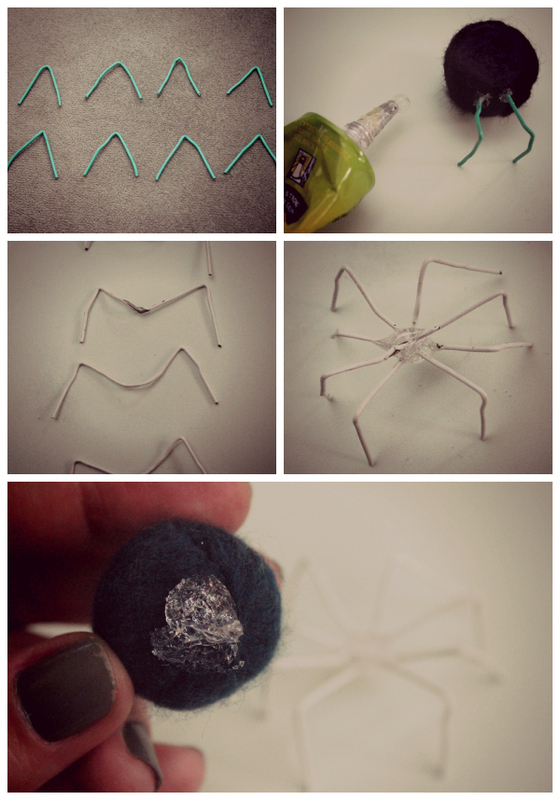 Next use your colored paperclips for legs! Cut them or just bend them into the size and shape you want. Use some glue to make sure they stay attached. I'm not much of a Halloween fan, but I definitely appreciate adorable decorations. 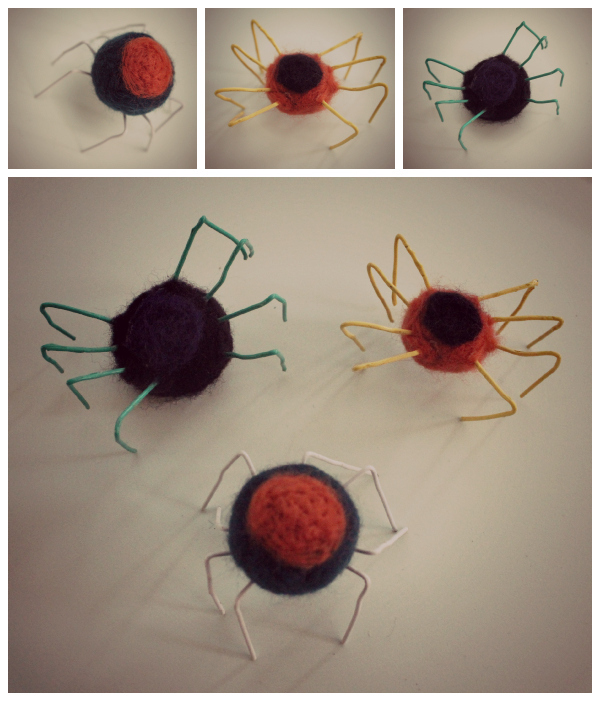 When else can you display a cute needle felted spider and it be acceptable? Here are some of our Halloween projects from last year. These are sooo pretty - so delicate looking. I love them!! We have a fun Halloween blog hop link going on right now on twelve blogs! Would love you to come on and join and link this up!! 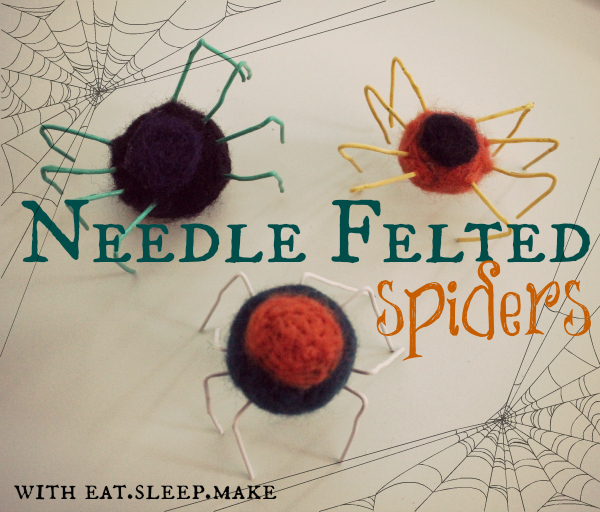 vist the happy housie to share your Halloween stuff!! Hope to see you there:) Each host will be sharing favourites on social media all week long!! What a clever idea and great for using year after year! Thanks for sharing! I'd love for you to come join our Halloween Party!! !